CDAC Noida Recruitment 2018 Notification is dispatched here. Know CDAC Vacancy 2018 details – 96 Project Manager, Project Engineer, Officer & Support Staff Posts. Interested & Eligible candidates can apply for CDAC Jobs 2018 on or before the last date i.e, 20/11/2018. Other details about CDAC Noida Project Engineer Notification 2018 like No. of Vacancies, Age Limit, Educational Qualification, Selection Process, Salary Offered, etc are provided on this web page. Are you looking for a job in the organization like the Centre for Development of Advanced Computing (CDAC)? Recently, Ministry of Electronics and Information Technology, Government of India, Centre for Development of Advanced Computing (C-DAC), Noida has given a CDAC Recruitment 2018 notification for the recruitment of the eligible & talented candidates for Project Manager, Engineer, Officer & Support Staff vacancies. Through this, the Noida Center of CDAC is looking for bright & result oriented persons for the following positions in various short-term projects for appointment on the purely Contract basis on consolidated emolument initially for a period of 01 (One) year or co-terminus with the project whichever is earlier. However, the term of the contract may be considered for the extension for a further period of another one year on the basis of the performance of the incumbent and requirement of the project. Job hunters can make utilize this opportunity by applying for C-DAC Recruitment 2018 through online mode. The CDAC Noida Recruitment 2018 Apply Online Link is activated from 6th Nov to 30th Nov 2018 @ cdac.in. Interested candidates who have met the eligibility requirements can apply for CDAC Jobs on or before the due date. Scroll down the page to get further info about CDAC Noida Project Engineer Recruitment Notification 2018 such as Vacancy count, Eligibility criteria, Method of Selection, Apply Online Process, etc. Candidates who wish to apply for CDAC Vacancy 2018 have to ensure the eligibility conditions like Age Limit, Educational Qualification, etc. The maximum age limit of the applicants of CDAC Recruitment 2018 should be as follows. Age relaxation in the upper limit is admissible for SC/ST/OBC/ PH/ Ex-servicemen candidates as per rules mentioned in the official CDAC Noida Notification 2018 Pdf. For Project Manager Posts: B.E/ B.Tech./ MCA or ME/ M.Tech or Ph.D. in the relevant discipline. For CDAC Project Engineer Jobs: 1st Class B.E/ B.Tech./ MCA or PG. Project Officer: LLM or Full Time LLB, F/T professional degree in Hotel management, PG. Project Support Staff: Graduation in the relevant discipline. 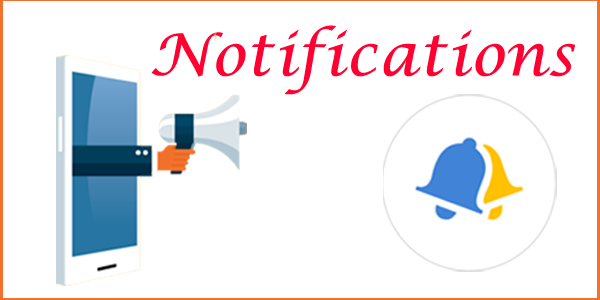 The further details of CDAC Noida Project Engineer Notification 2018 like Application Fee, Selection Criteria, Salary Offered, Important Dates, Links, etc. Candidates applying for CDAC Jobs 2018 have to pay the application fee as fixed by the officials. The selection of the eligible candidates for CDAC Noida Recruitment 2018 will be on the basis of the performance in the Written Test/ Interview. Selected candidates for CDAC Vacancy 2018 will get a good pay scale according to the post they are recruited in. Project Support Staff: Rs. 13, 500/-. Centre for Development of Advanced Computing, Noida has invited the CDAC Noida Recruitment 2018 application forms for the engagement of eligible candidates for Project Engineer, Project Manager & Project Support Staff Posts on a contract basis from 6th Nov 2018. The CDAC Noida Project Engineer Recruitment 2018 Registration Process ends on 20th November 2018. Follow these simple guidelines provided while filling the CDAC Recruitment 2018 Application form. The homepage will display on the desktop screen. Search for the related tab “CDAC Notification 2018 for Project Engineer/Manager Posts” on the homepage. Go through the details mentioned in the official CDAC Noida Project Engineer Recruitment 2018 Notification Pdf. Ensure the eligibility criteria for CDAC Jobs. If eligible, then press “C-DAC Recruitment 2018 Apply Online” tab. Enter all the required & mandatory details in the CDAC Noida Recruitment Application form 2018. Upload the scanned copies of photograph & signature. Verify all the details & press the “Submit” button. Finally, keep the hard copy of CDAC Project Engineer Application form 2018 for future reference. Our team has shared the complete details of the Centre for Development of Advanced Computing (CDAC) Notification 2018 for guidance purpose only. If you have any queries, refer the official C-DAC Recruitment 2018-19 Notification with the direct link attached below. Keep in touch with our page rrbrecruitment.co.in to know the further job updates.